Do you love makeup and want to pursue a career in making others look and feel more beautiful? Are you already working in the beauty industry and want to improve your confidence and application skills? Or do you just want to just do a better job of putting on your own makeup? In this class through live demonstrations and hands-on experience, you will discover the professional secrets to beautiful makeup applications. You will develop improved skills and greater confidence in working with clients or just on yourself! MAC Pro Student Kit or any similar makeup kit is recommended. Contact Community Services for details. *To qualify for a certificate ALL 6 classes MUST be completed. If you miss a class you MUST re-register to receive the Certificate of Completion. Classes can not be taken individually; you must take all 6 classes. 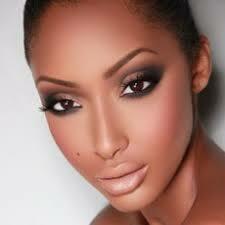 Learn professional secrets for doing a beautiful makeup application on yourself or your clients. A step-by-step approach teaches you how to choose an appropriate foundation, highlight and contouring techniques, and eye shadow coloring and placement for a most spectacular you! Uncover the power of your eyes with makeup skills to bring out the best of this feature. Brow shaping, shadow placement, lining techniques, and application of false lashes are just a few of the many fun topics covered. Don’t blink---sign up now! Do you want to replicate the latest runway looks? Or make a striking impression at the next party? Discover and learn how to re-create some of the latest high fashion and fantasy makeup styles during this very creative session. Would you like to learn the Hollywood secrets to creating special effects with just makeup? Very realistic cuts and bruises will be applied to class models as well as old age effects. This is a great class for theater people as well as for those who just enjoy discovering artistic ways to transform into a totally different persona. Are you getting married and want to have a picture perfect day? Or do you want to expand your business to include doing makeup for brides? Either way, this is the class for you! You will learn refined makeup skills to help you succeed in the lucrative bridal field. Students enrolled in the Makeup Artistry Certificate Program listed above, will have the opportunity to review and demonstrate their skills in the topics covered throughout the semester. MAC Pro Student Kit or any similar makeup kit is recommended. Contact Community Services for details.